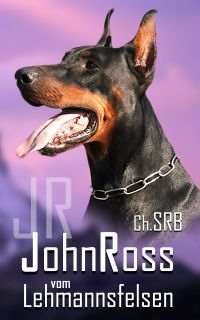 Our mission is to become an informative tool and base of knowledge for dobermann breeders and fans who are begining a new day searching for dobermann news. 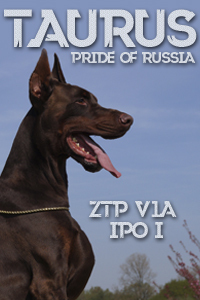 The Dobermann belongs to TDCOM, Poland. All adds are published at The Dobermann as soon as possible and normally it takes 24h from the moment all materials are sent. In case of possible delay, we will inform straight away after certain add is ordered. All adds except "Puppies" and "For sale" are published for unlimited period of time. "Puppies" and "For sale" adds can be prolonged on request without any charge. Puppies advertisement can be updated unlimited number of times without any charge. 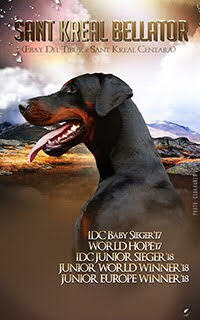 Puppies advertisement is the most popular one at The Dobermann. Thanks to our big popularity and thousands of users visiting our web, breeders from different countries are successfully finding new homes for their puppies. Puppies add is available from section "Puppies" and from left column with list of available puppies. Such attractive location cause that every visitor will notice the advertisement. Left column is an excellent location because this is the place where all new visitors look first when they visit a new web ! Left column with list of kennels offering puppies is available not only from main page but from every single page of The Dobermann website - show reports, different dogs presentations etc. This column appears on whole content of our website. Visitors who are viewing dogs presentation straight from google search have direct access to list of available puppies. 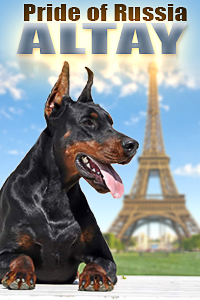 The way how puppies are advertised at The Dobermann we consider as our big advantage ! Standard puppies presentation consists of 4 parts - parents photos, their titles, informaiton about puppies with photos, pedigree and breeders contact data or contact of person who is responsible for the litter. In order to publish puppies advertisement all above mentioned materials have to be sent. Standard Puppies advertisement cost 20 EU, version with kennel-name highlighted with red colour cost 40 EU. If the female has progeny from previous litters, it can be presentated on separated page for additional charge of 10 EU + 1 EU per each photo of her progeny. We encourage to place not only puppies advertisement but also a female presentation so potential buyers have chance to see mother of puppies with large number of her photos and more detailed information. In order to attract bigger attention, we offer Banner placement at Recommended module (right side). 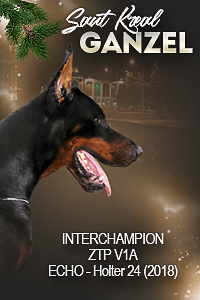 Banners are displayed at every single page (whole content) of The Dobermann website. Price for a banner is 10 EU per 1 week. If you have individual request for puppies advertisement, feel free to let us know. we will be happy to meet your expectations ! 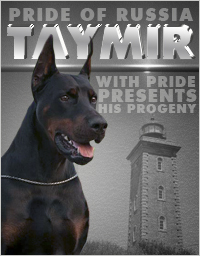 Male presentations are the ones with highest number of views at The Dobermann website. Take a look at TOP 10 list of the most popular males presentations. List is based on our statistic system and is updated accordingly to any change. The Dobermann is widely respected by breederss and has a honour to present in its base exclusive presentations of best european stud males. It is very important to include in presentation only the most successfull photos. We will be glad to help you to make right choice. In case you don't have good photos, we may help to organize a photo-session for your dog. If the male is already a stud with number of his progeny, there is a possibilty to make "Progeny" page which cost 10 EU and 1 EU per each photo attached. Videos can be attached into presentation for additional charge of 5 EU. Number of videos is unlimited. Another option of extra promotion is Front page photo or Slider photo. If you have an individual request for your male presentation, feel free to let us know. We will be happy to meet your expectations ! It is very important to include in presentation only the most successfull photos. We will be glad to help you to make right choice. In case you don't have good photos, we will help to organize photo-session for your dog. If the female is already a breeding female with number of her progeny, there is a possibilty to make "Progeny" page which cost 10 EU and 1 EU per each photo attached. If you have an individual request for female presentation, feel free to let us know. We will be happy to meet your expectations ! 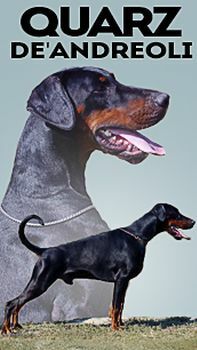 There can be presented any dog photo (Male, Female, Youth, For sale...) or banner (Kennel, Puppies, Event) or any other related to dobermann breeding. Price for Front page photo is 60 EU per 1 week. If you take Front page for 2 weeks, total price will be 100 EU. Slider presents number of photos or banners which are displayed one after another. Slider is located at 2 locations - at News page and at Front page below TOP 10 News list. Price for Slider photo is 20 EU per 1 week. Having Front page photo, it allows you to change photos of your dog in the period of a week. For example you can change photos which are displayed on Monday, Tuesday, Wednesday and other days. What's more, it does not refers only to photos. On another day video of your dog also can be presented. If you have individual request regarding Front page photo and/or Slider photo advertisement, feel free to let us know. We will be happy to meet your expectations ! Contact us on time to book a Front page photo for certain week. There is a big interest during whole year ! Banners are placed at "Recommended" module at the right side of The Dobermann website. The great advantage is that banners are displayed at every single page (whole content) of The Dobermann website. It is an excellent option to attract bigger attention to your dog presentation or available puppies. Price for a banner is 10 EU per 1 week. Except placement in "Recommended" module, banner can be presented in right up corner of The Dobermann website. Banners at this location are published for minimum period of 6 months and price is arranged individually. If you have an individual request for youth presentation, feel free to let us know. We will be happy to meet your expectations ! It is very important to include in presentation only the most successfull photos. We will be glad to help you to make right choice. In case if you don't have good photos, we will help to organize photo-session for your dog. Videos can be attached into presentation for additional charge of 10 EU. Number of videos is unlimited. Kennel presentations are made according to breeder request and individual needs in terms of what and how has to be published. Cost for kennel presentation is arranged individually and depends on number of published materials. 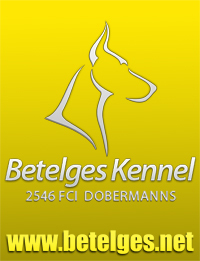 Take a look at kennel-presentations which are already at The Dobermann website. All text updates of any kind (results, information) are free of charge. Any announcement in News which is not associated with gallery update (adding new photos) cost 10 EU. Update with new photos of any presentation cost 8 EU + 1 EU per each photo. Update of puppies add is free of charge and you can update it as many times you want. Do you organize a dog-show or any dog event and you need help to advertise it? We are happy to present at The Dobermann website all dobermann events - dog-shows, working trials inc. all necessary data. Events are normally promoted using slider banners and banners published in "Recommended" module. The Dobermann website has nearly 2500 fans at its Facebook Fanpage. Our fans are daily searching, sharing and placing comments on The Dobermann News. All presentations except "Males" and "Puppies" and "For sale" can be announced at Facebook Fanpage without any charge. Announcement of new "Male", "For sale" or "Puppy advertisement" cost 10 EU. There is also an option to rent a space of our background photo at Facebook Fanpage. 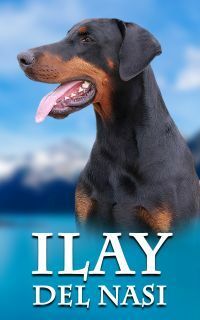 It can be a banner of expected or available puppies, male presentation or any other. Price is 10 EU per 1 week. Another way of extra promotion at Facebook is to take advantage from internal methods of advertising offered by Facebook so certain advertisement is seen by higher number of viewers. Feel free to contact us to get more detailed information. The Dobermann website has reached great popularity thanks to large number of videos which are being published over the years at our YouTube channel. Our videos were viewed over 460.000 times ! We have over 650 YouTube subscribers and this number is increasing every day ! If you have a video of your dog and you would like to make it popular, feel free to send it to us and we will publish it directly at our own YouTube channel. It is a great chance to get many views ! Cost for VIP membership is agreed individually. Order Front page for minimum 2 weeks and pay 50 EU per week. Regular price is 60 EU per 1 week.